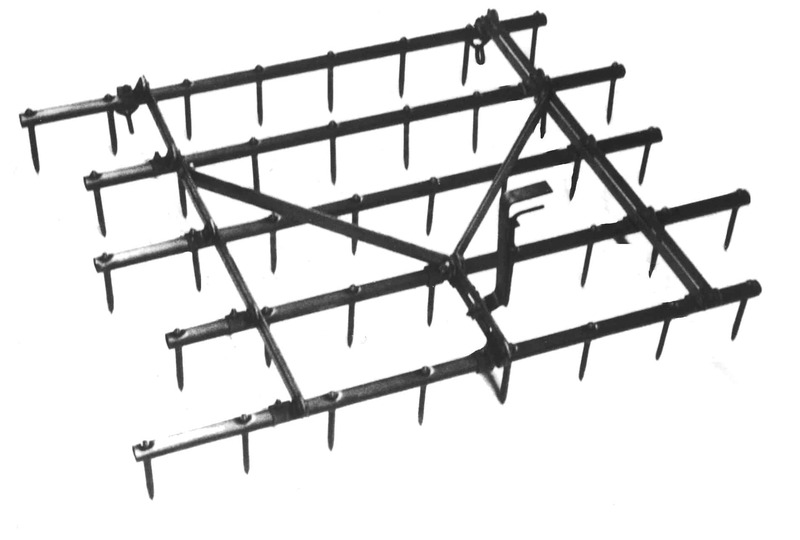 “R” Series harrows are designed for high speed harrowing and cultivating. Durable tooth bars are braced four ways to stay in position. Double adjustable bars add strength. Tilts the teeth to the angle best suited to soil and crop conditions. The lever folds down flat for ease in handling and storage. 1 5/8” O.D. High carbon steel pipe for extra strength and resistance to wear. Each bar is held firmly in position to assure every tooth is working the soil thoroughly. 9/16” hooks are designed with the open end toward the ground to reduce unhooking.